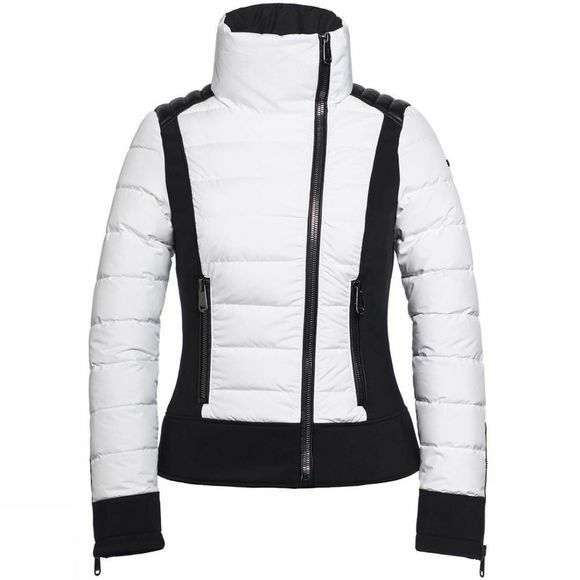 The Womens Veloce Jacket from Goldbergh has an extra tough design thanks to the asymmetrical zip fasteners and the imitation leather on the shoulders, ensuring you will not go unnoticed. The front and back are flanked by two black and contrasting side pieces with a slight curve. 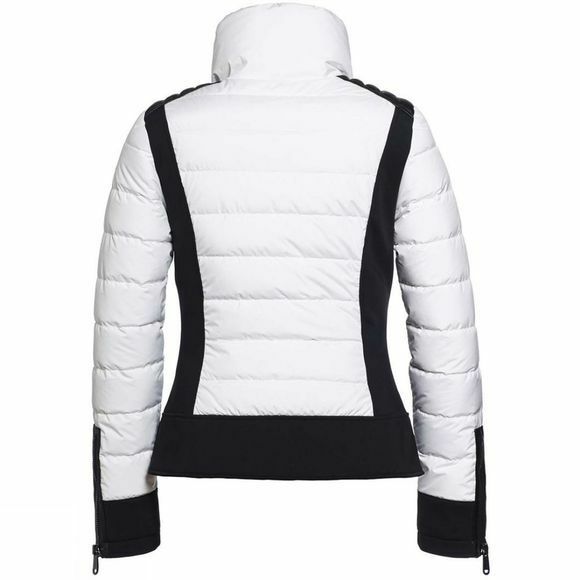 These give this cool ski jacket a beautifully detailed silhouette. Goldbergh offers a luxury sportwear collection, designed by Lieke van den Berg and Sandra Peet, that provides attire for the active, yet fashionable woman. They keep up with modern design trends, while injecting a more casual feel to their clothes, completing the essential winter wardrobe, and creating a new standard in luxury sports fashion: ‘The Goldbergh Standard.’ While van den Berg has experience is many areas of clothing creation, her passions are sport and sports fashion. Knowing herself what her clients requires, she has created functional, yet fashionable clothing for the slopes.